The Window Frame Clamp machine clamps a window frame to allow you to add brick molding, or anything else needed. There are four pneumatic air guns, which can independently fire or in all four corners simultaneously. This is dependent on what the customer needs. 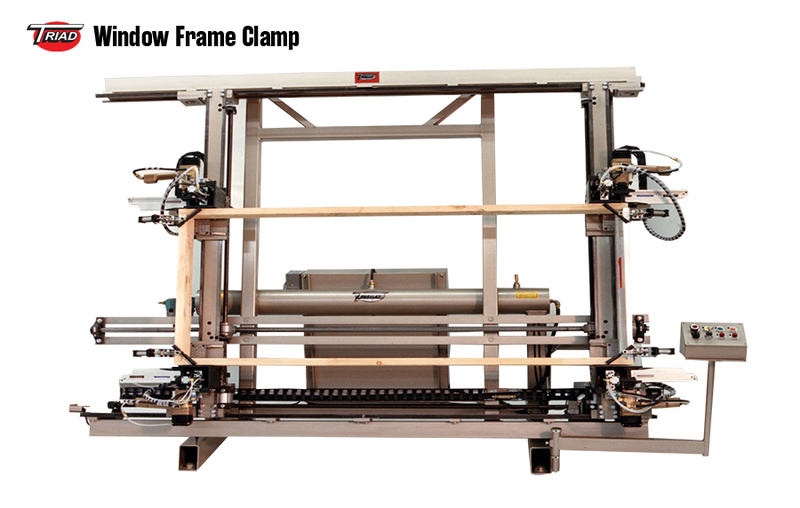 The Window Frame Clamp machine sits at a 75º fixed angle, which is ideal for loading and unloading parts. The width is adjusted by an electric motor and lead screw. 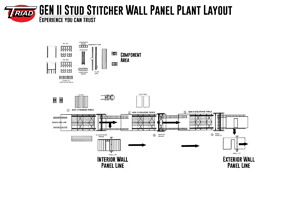 A window frame sample is sent by the customer to customize the machine to the customer's needs. There are auto-sizing packages available.